GajShield, a leading provider of Network Security and Email Security, records an impressive growth in 2013 with continuous wins in all the major verticals. With an outstanding customer base in major verticals like manufacturing, finance, services, technology, healthcare etc, GajShield has tapped almost all the major verticals. GajShield is the only UTM service provider which gives an organisation complete control by providing 'Visibility', 'Monitor', 'Detection' and 'Prevention' of data being sent out of the enterprise. 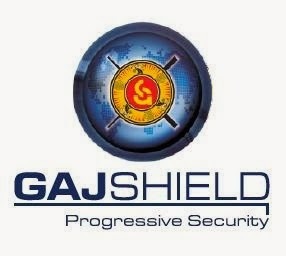 GajShield's growth has accelerated due to the improved security features that GajShield provides to the customers. To backup this fact, GajShield has doubled the number of customers in 2013 in manufacturing vertical compared to 2012. This outstanding success has enabled more and more manufacturing customers as well as financial institutes to select GajShield's services for their data protection. Customers across various major verticals today rely on GajShield solutions, as shown in the graph below. GajShield enriches user experience for internet access, while providing risk mitigation and policy enforcement through its in-the-cloud service. Companies simply define their corporate security, control, and compliance policy by accessing the GajShield service. GajShield's sensitive data leak prevention system provides web application by creating context that helps an enterprise to setup policies based on the web applications. GajShield enforces enterprise policies, even monitors and prevents data leaks from the mobiles users. Mr Sonit Jain, CEO at GajShield said "We are very happy to achieve such a great success reaching out to almost all the major verticals. This success simply shows that our solutions have helped organizations in securing their business applications and data. We would like to keep this momentum going high with every passing year. We would look forward to strengthen our business in the current verticals and aggressively target to tap the new emerging verticals." The next generation UTM from GajShield gives complete visibility of applications, content, users and threats to pro-actively secure network, increase productivity and performance. GajShield have provided the standard solution capable of eliminating virus related threats to their customers. GajShield's products remove the complexity and reduce the cost of implementing and managing today's mandatory business services - including Firewall, encryption, VPN, URL filtering, virus scanning and more - by delivering unprecedented levels of security, performance, simplicity, functionality, and cost-efficiency in a single product.